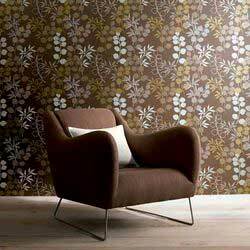 We offer a wide range of designer Interior Wallpaper. Apart from functionality, the Interior Wallpaper range is used for creating stylish interiors and adding life to monotnous walls of home and office decors. Wallpapers comes in wide array of designs, colors, etc, and is used for covering special areas like fire retardant areas and high accoustic required areas.